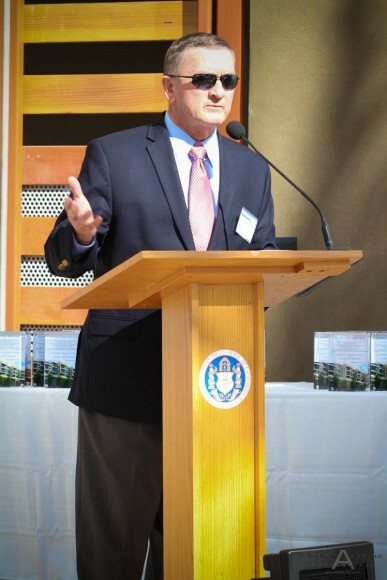 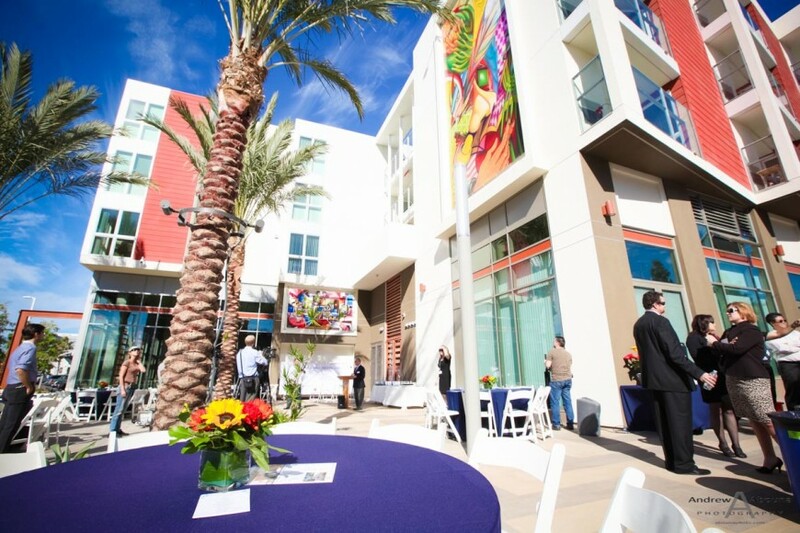 For the opening of Developer Chelsea Investment Corp. of Carlsbad newly-built, 92-unit affordable housing complex in San Diego’s Barrio Logan redevelopment project area, I was on hand to provide special event photography and architecture photography to capture the grand opening ceremony. 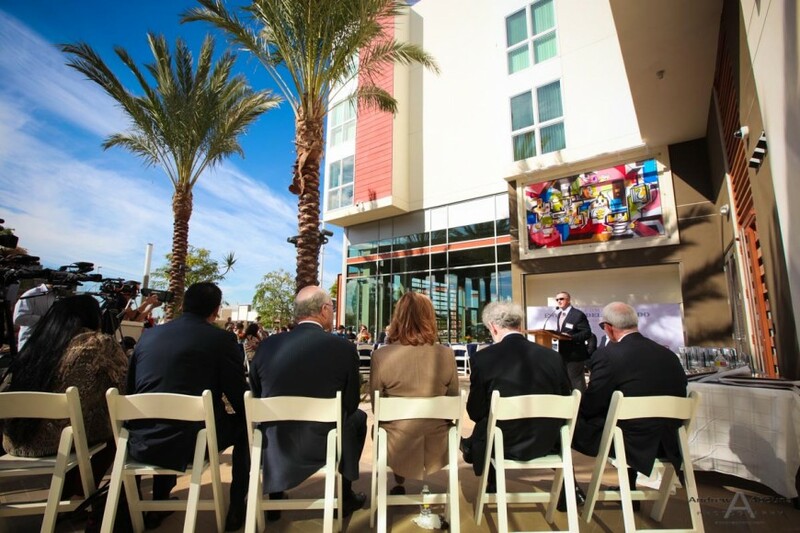 The $63.3 million project offers affordable, low-income housing in an area of the city where residential rates are fairly high. 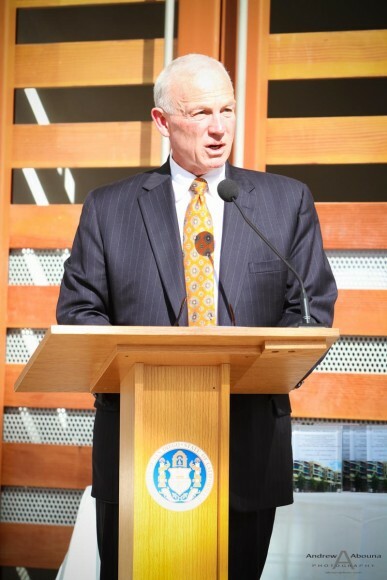 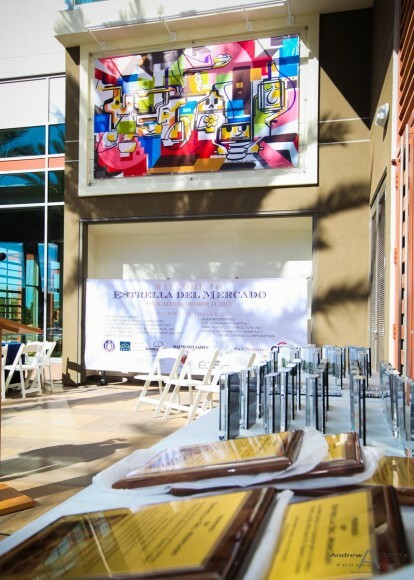 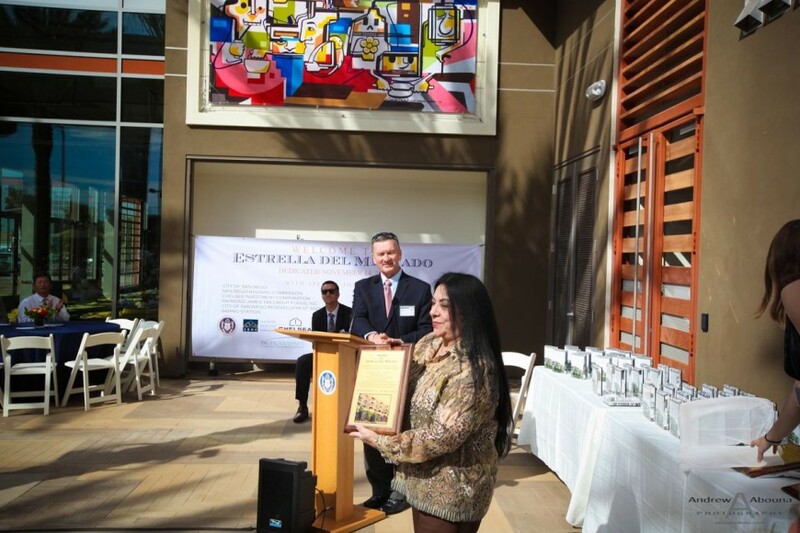 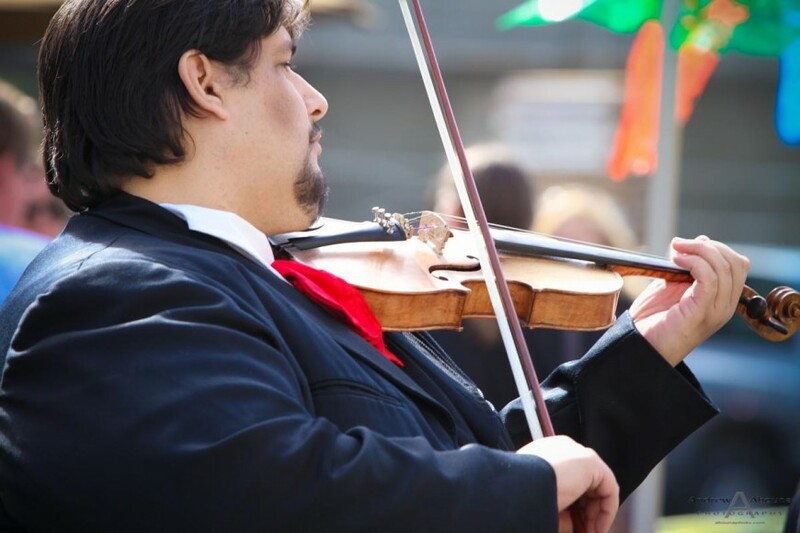 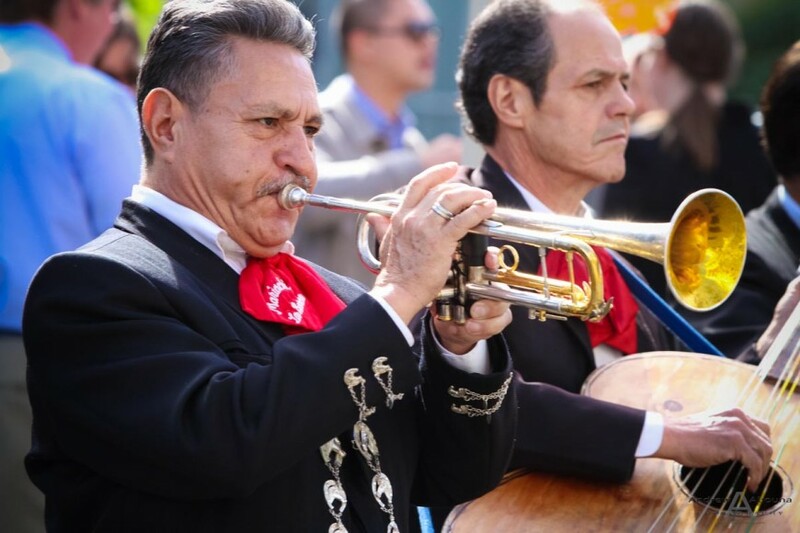 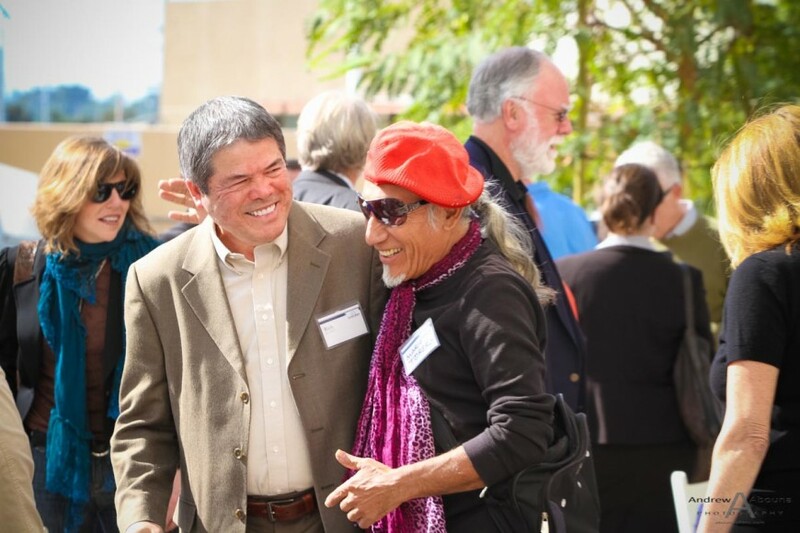 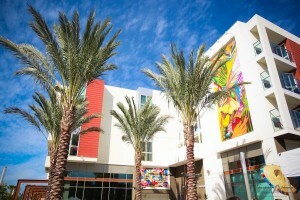 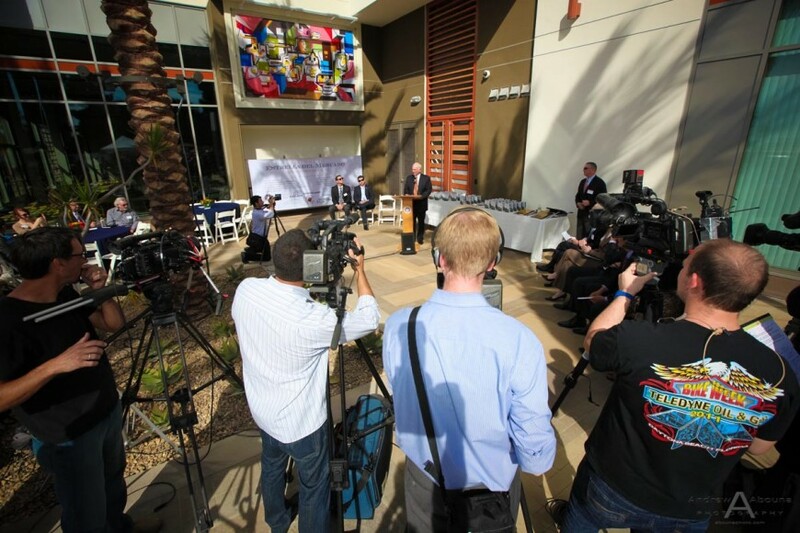 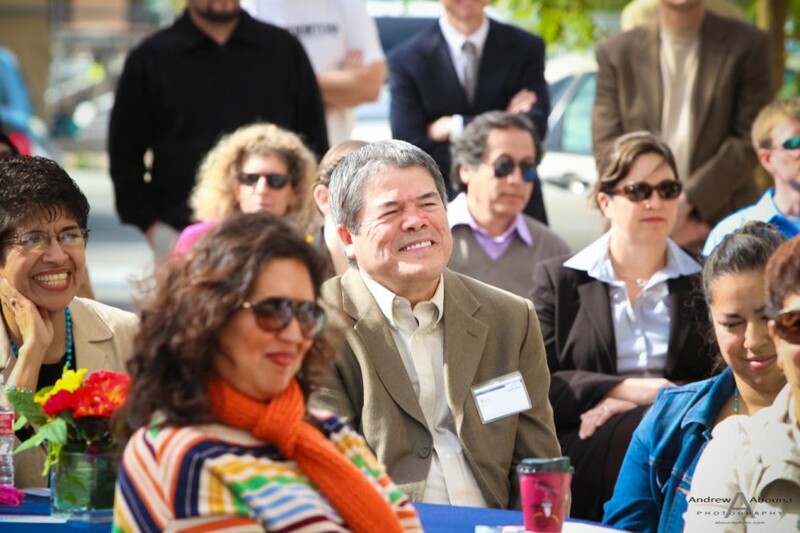 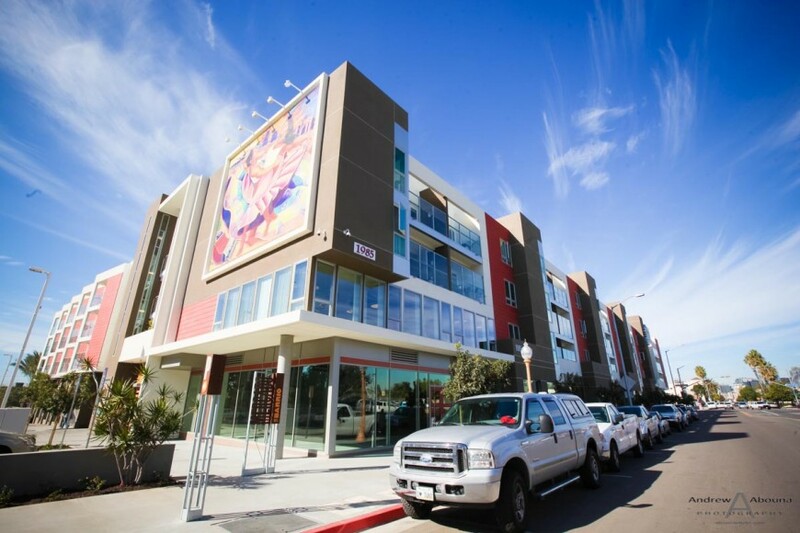 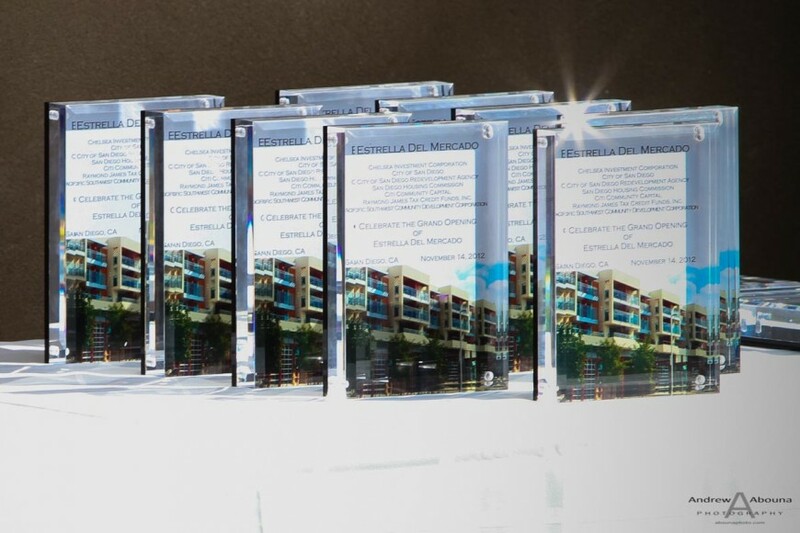 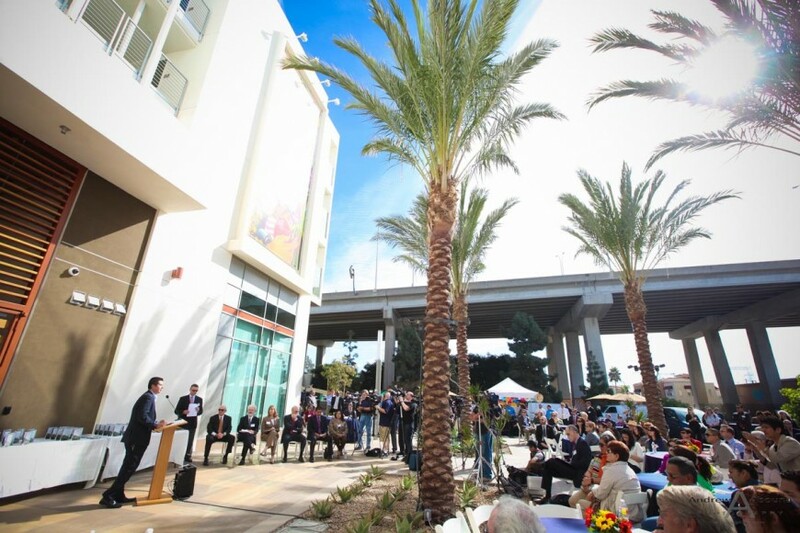 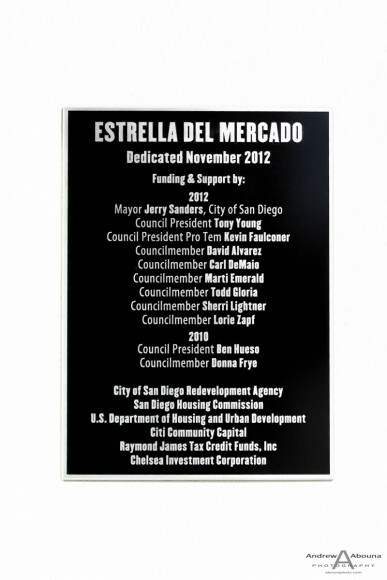 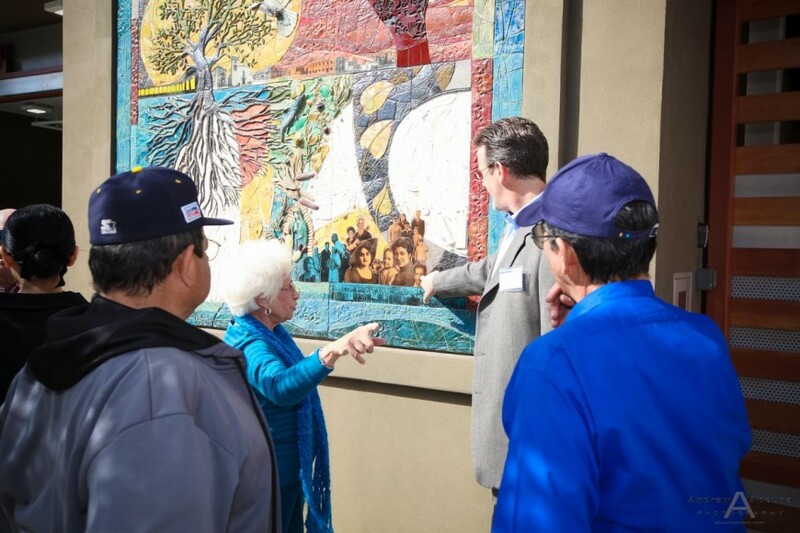 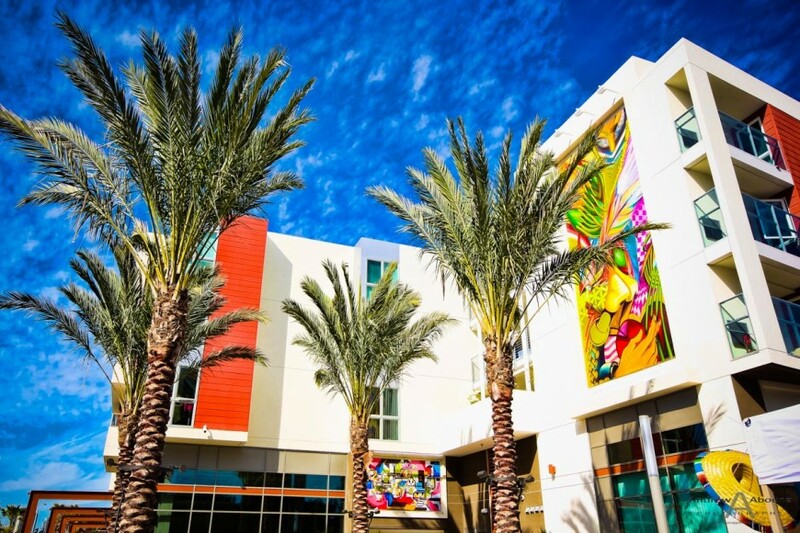 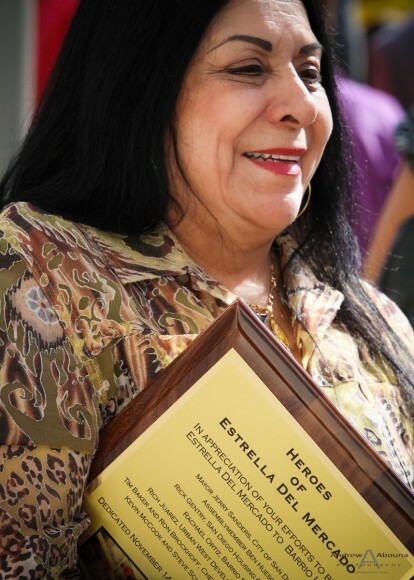 Approximately 150 people, including government and community leaders attended a ceremony marking the opening of Estrella del Mercado Apartments, located off Cesar E. Chavez Parkway between National Avenue and Main Street near Chicano Park. 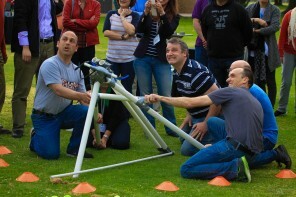 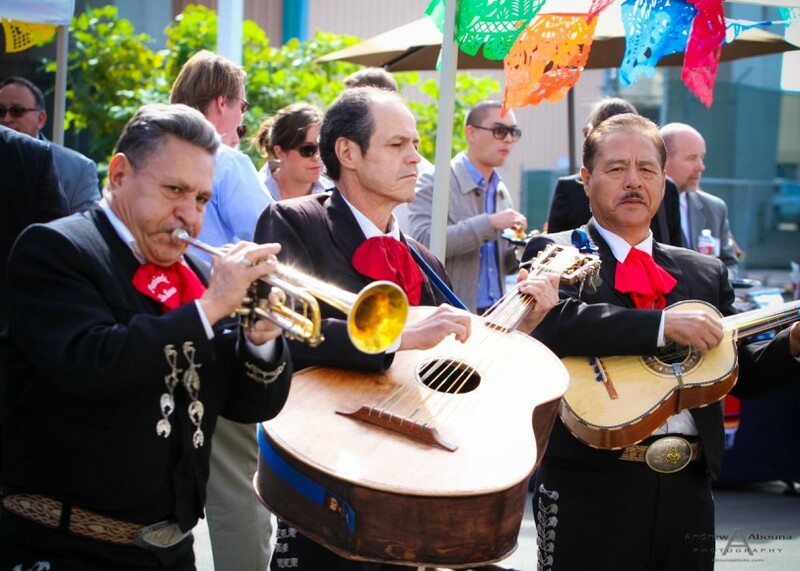 A small celebration ensued afterwards, complete with Mariachi, food and drink. 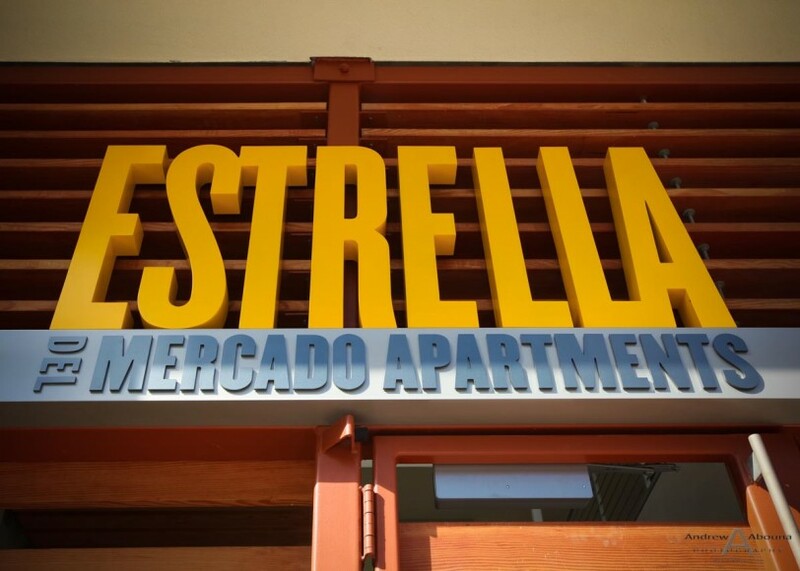 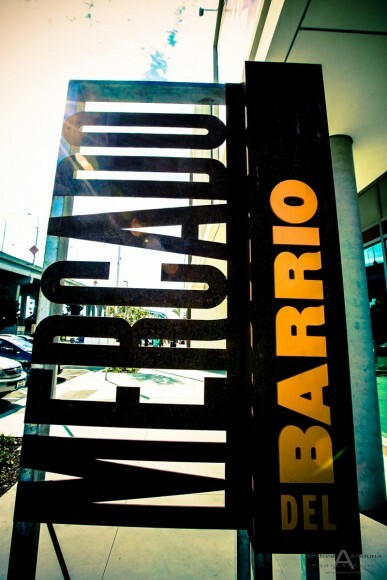 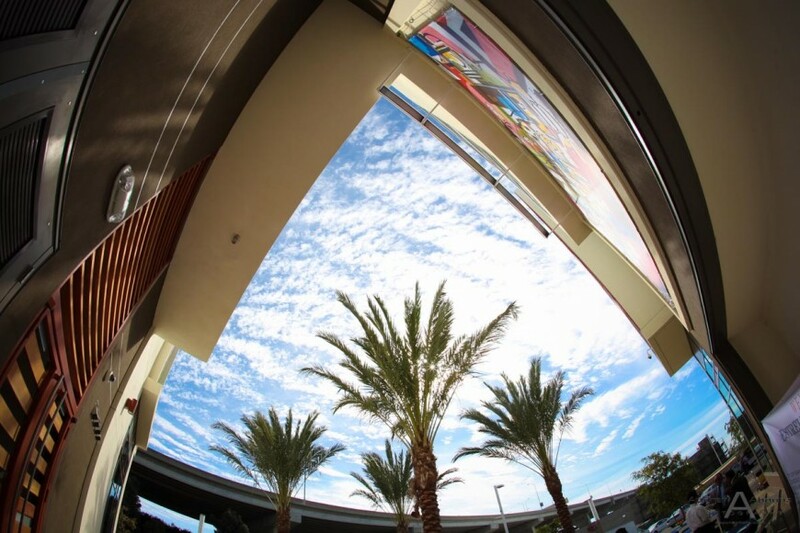 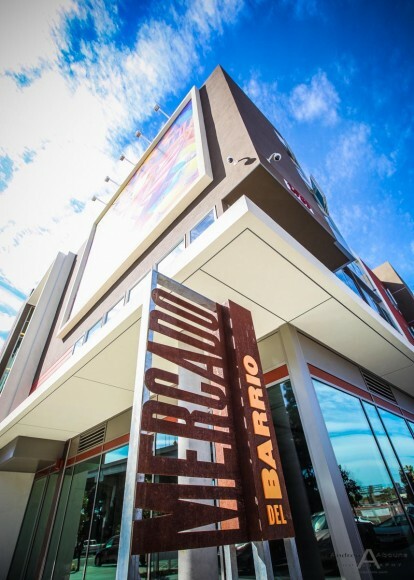 The Union-Tribune wrote an informative article about the history of the Estrella del Mercado Apartments, which you can read here. 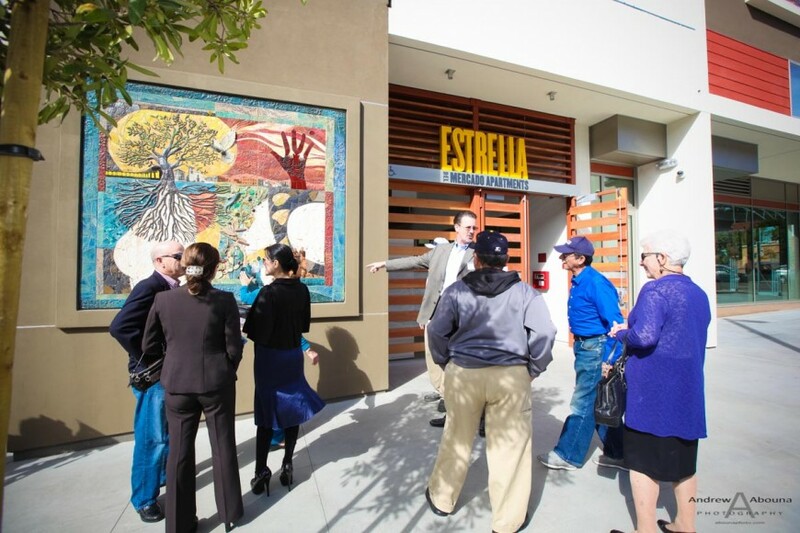 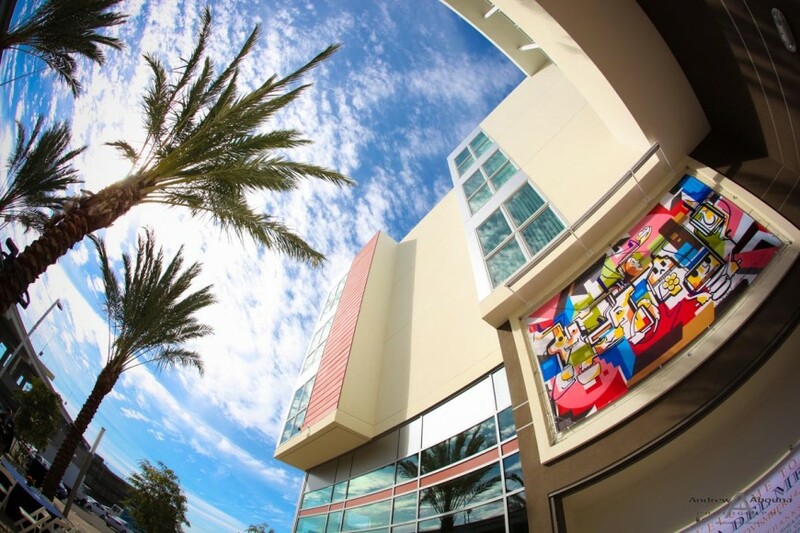 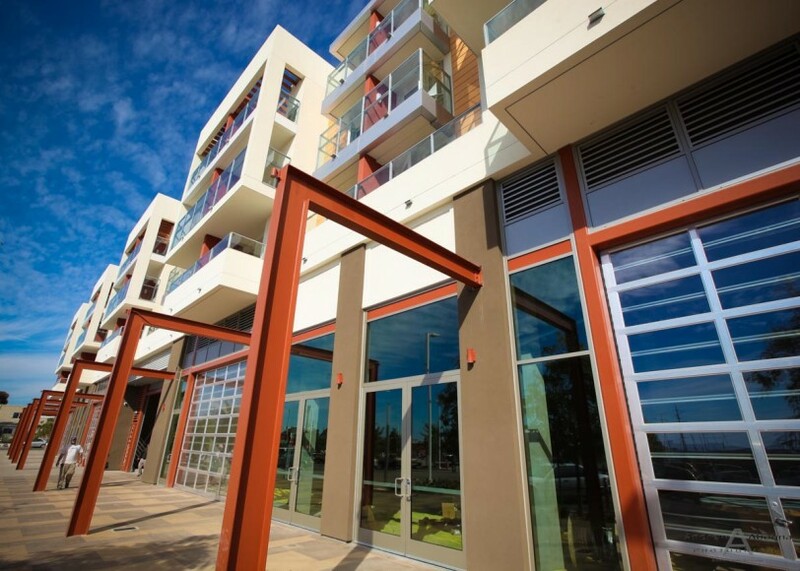 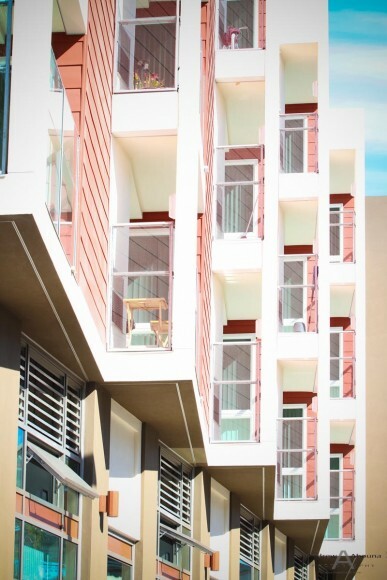 Initially contracted just to photograph the Estrella del Mercado Apartments grand opening, I was thrilled by the nice design the building and captured a variety of architectural photography shots, too. 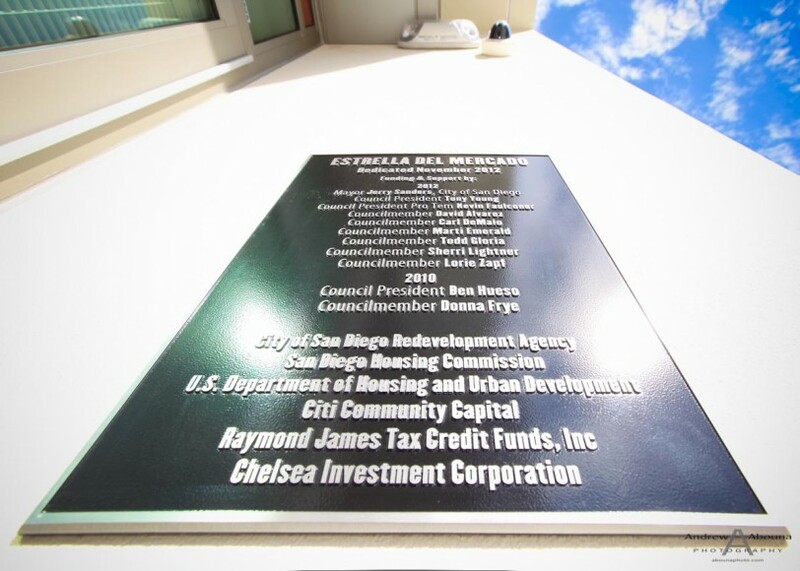 Chelsea Investment Corp. was delighted enough with the photos that they subsequently used them to promote their project for a building award. 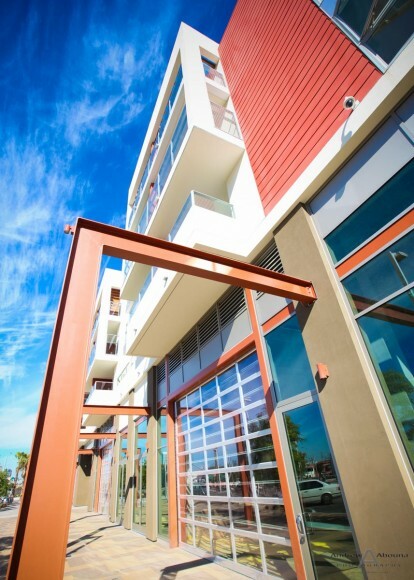 A nice compliment to the architecture photography. 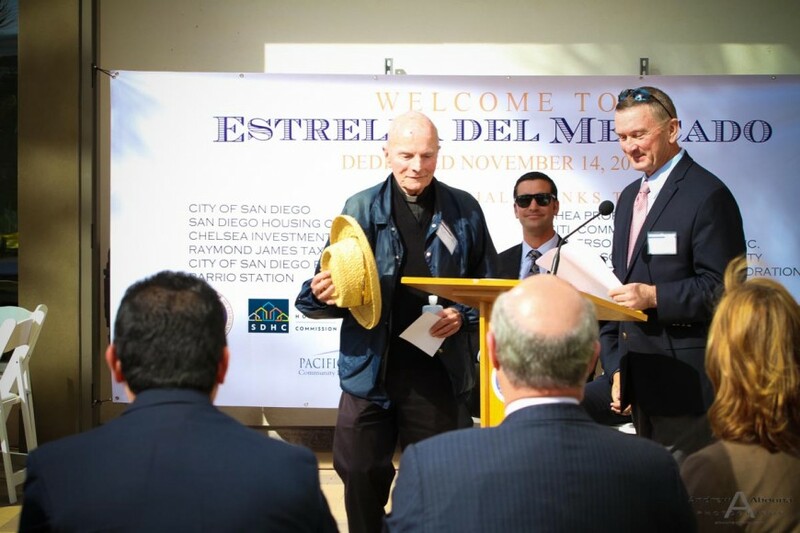 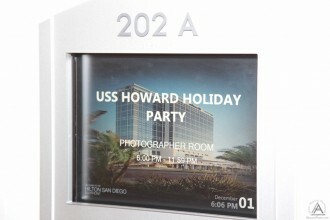 Featured on this page are some of my San Diego photographer favorite photos from the Estrella del Mercado Apartments grand opening, but for the complete collection of all images please visit my San Diego Event Photographer Client Galleries page (password required). 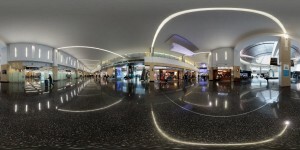 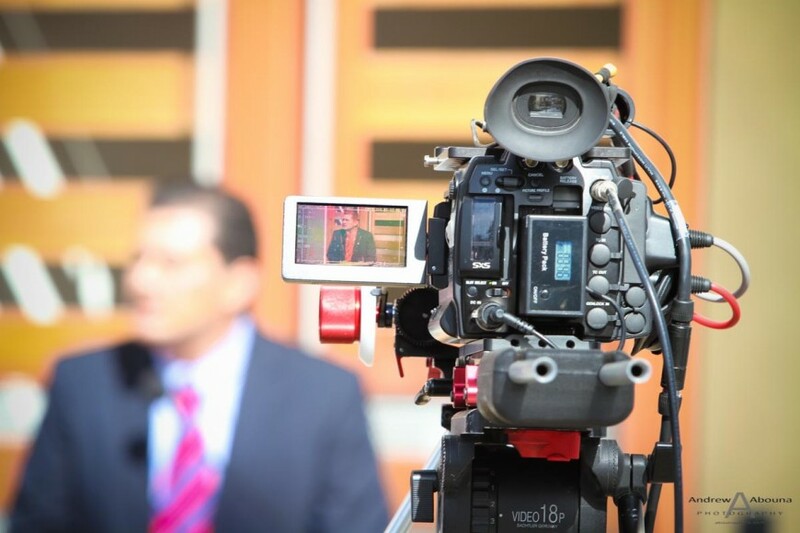 To find out more information about architecture photography event photography, please contact me.